The best way to deal with Lyme disease in dogs is to make sure they never get it. You are the bodyguard for your dog—ever vigilant and on the lookout for ticks that could inject them with a potentially devastating disease. Since ticks have to be on your dog for quite a while before they do their evil, interdiction is one of the best ways to deal with Lyme disease in dogs. Check your dog daily to stop ticks at the door. Do you know what to watch out for to keep your dog safe from Lyme disease? 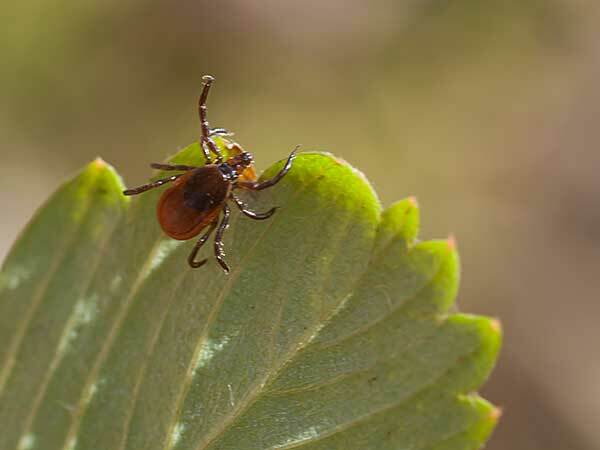 With Lyme disease dogs are infected by ticks in grassy, brushy or wooded areas by the Deer Tick (Ixodes scapularis) primarily in the northeastern US and the Western Blacklegged Tick (Ixodes pacificus) along the west coast. They can also be found in the Mississippi area and in other pockets so find out more about the area you live. Those who live in those areas or travel to them will want to be particularly vigilant. The ticks go through several life stages from larva, to nymph, to adult. Dogs can become infected with the spirochete bacteria Borrelia burgdorferi which causes Lyme disease (which was named after the town of Lyme, Connecticut when a group of children were found to have contracted it near there). •	Do you need to be worried about Lyme disease in dogs? •	What are the symptoms of Lyme disease in dogs? •	What will happen if my dog is diagnosed with Lyme disease? How worried should you be about Lyme disease in dogs? Those of you who live in areas were Lyme disease and the tick that carry the bacteria that causes it can breath a little easier. Especially if they haven't been outside in wooded areas. In fact, unless areas are known to be hot spots your vet is likely to not vaccinate for Lyme disease and if asked may even recommend against it. In areas known to have high infection rates vaccination is an option you should discuss with your vet. While many dogs who do become infected don't exhibit any symptoms and are able to fight off the bacteria on their own it is believed that it is never completely eliminated and can flare up in the future. You vet won't want to give a vaccine if your dog has already been exposed to borrelia and may do a titer test to check for antibodies. Not only does Lyme disease in dogs hide itself very well, symptoms may not show up for 2 to 5 months after exposure. So when consulting your vet it's a good idea to mention any traveling that your dog has done with you recently. So, with Lyme disease in dogs they may fight it off and you'll be none the wiser, but dogs may also suffer with painful joints. However, unlike arthritis in dogs the pain caused by the borellia bacteria may move around from leg to leg, cause hot joints and swollen lymph nodes on the related shoulder. The affected dog may appear depressed and disinterested in walking. When they do walk they may exhibit stiffness and an arched back as they try to alter their gait to minimize the pain. What is happening in Lyme disease in dogs is similar to that of arthritis as it is due to an immune response causing inflammation. Just in the case of Lyme disease dogs are actually trying to fight off a real invader. The longer this goes on the greater the damage to the joints as well as the heart, kidneys and nervous system. So Lyme disease in dogs can become very serious indeed. What should you do if you find a tick on your dog or tick bite site? So you found a tick bite on your dog, or while checking them you found an actual tick—what should you do? As a rule of thumb, it usually takes a tick on your dog about 24 to 48 hours to do their dirty work and inject them with the borellia bacteria. That is why if you have been outside in areas with ticks and Lyme disease you will want to check your dog daily. If you find a tick you should use pointy tweezers and pull them straight out (don't try to twist them out), gripping them as close to the skin as possible. So don't grab the tick by it's swelling body and squeeze to get a grip or you might force the bacteria into your dog. If possible, use gloves for this procedure to protect yourself as well. You can use a disinfectant to clean the site and alcohol to kill the tick. Your vet will either use a quick-test in the office or send a sample to a lab to test your dog for Lyme disease. If they are positive and are showing symptoms your vet may prescribe an antibiotic like doxycycline to deal with the bacterial infection. If your dog has joint pain they may be prescribed an NSAID (Non-Steroidal Anti-Inflammatory Drug) like Rimadyl. Because of the damage that can be done to your dogs kidneys your vet will do blood tests to monitor for side effects of the drugs and damage caused by your dog's immune response while trying to attack the borrellia. Chances are that if your Aussie gets Lyme disease they will have it for life. The drugs and their immune system may beat the borrellia down but it is probably still there lurking in the shadows. You will want to have your dog tested to determine if they are suffering from a recurrence. However, if your dog has been diagnosed with Lyme disease already you don't want to give them a vaccination after that as it can do more harm than good—and because their immune system has already been exposed to borrellia. Don't use information you find about Lyme disease related to humans. Lyme disease in dogs acts much differently and the available data for humans doesn't translate to dogs. So, while Lyme disease is relatively rare and only appears in certain areas there is still a real threat if your dog is exposed to infected ticks. 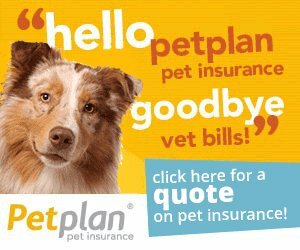 Tick bites on your dog should be taken seriously and you should consult with your vet about how to proceed. Secure the borders of your yard and home and be ever vigilant for interlopers on your Aussie's coat. Keep ticks out and your dog safe.